Ennio Morricone’s Oscar nominated score to the 1986 film, ‘The Mission’, reflects the range of cultures depicted in the film through liturgical chorales, native drumming and Spanish guitars. The BPO will be performing an arrangement by Henry Mancini which combines the main theme and the ever popular “Gabriel’s Oboe”. 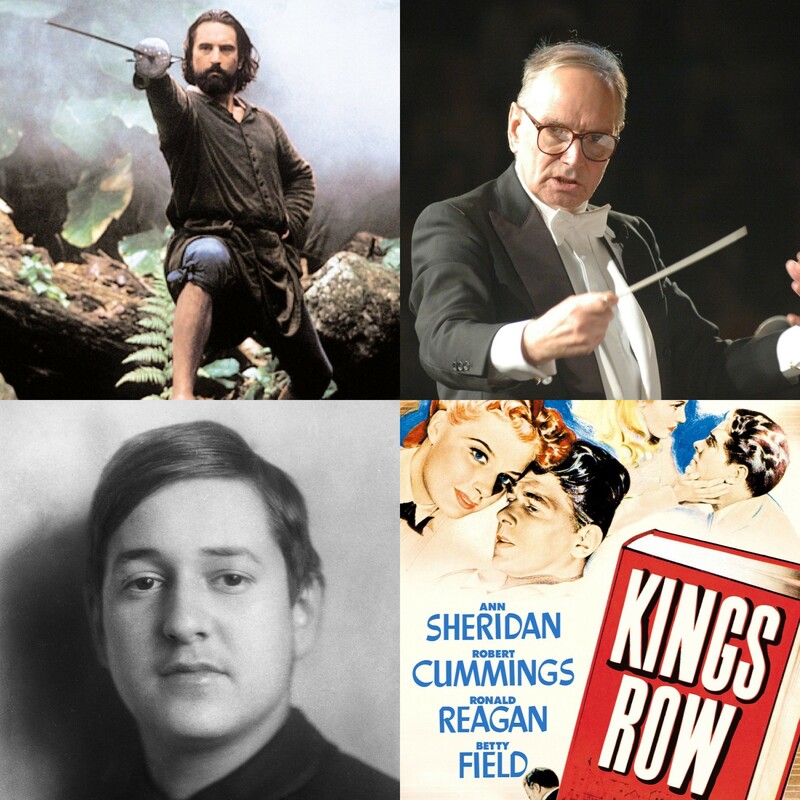 If there is one composer who epitomizes the sound of the Golden Age of Hollywood, surely it must be Korngold with his swooping melodies, noble themes and swashbuckling action music. His score for the 1942 film, ‘The Kings Row’ (which starred a young Ronald Reagan), includes all of these qualities and more! Tickets are now available for our film music concerts from the Theatre Severn box office, the Bramall box office or BPO members.